Sea connections from Naples to Ischia are provided by four shipping companies Caremar, Medmar, SNAV, Alilauro. They use both ferries/ital.traghetto that transport passengers and vehicles and hydrofoils/ital. aliscafо that transport only passangers. 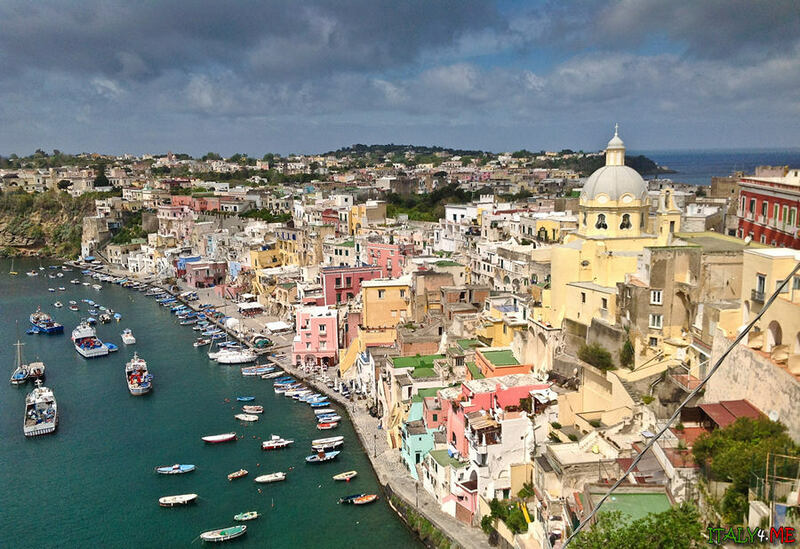 In Ischia there are 3 ports: Ischia, Casamicciola Terme and Forio. Ischia and Casamicciola Terme are situated rather close to each other whilst Forio is aside. Also please note that hydrofoils don’t go to Forio. In Naples ferries and hydrofoils use the ports P.D.MASSA, BEVERELLO and MERGELLINA. More information about ports of Naples you can read here. Prices and timetable for ferries change often. During the high season, it is better to book the tickets beforehand. Tickets can be booked online on the official websites of the shipping companies. In case of bad weather, it is recommended to call the shipping company, you want to use, in order to varify the timetable. Please note that hydrofoils don’t operate when the weather is bad. 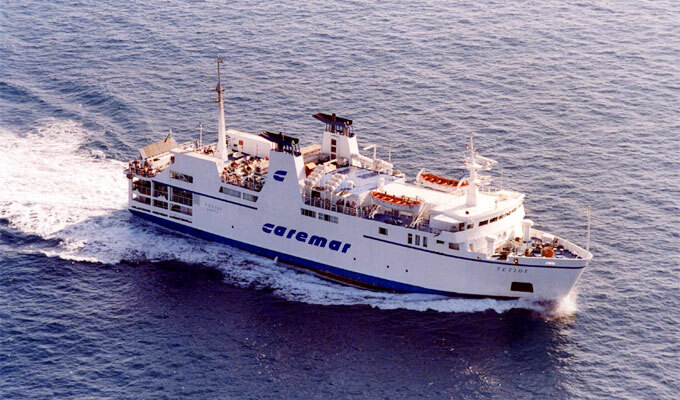 Caremar — Campania Regionale Marittima, is a shipping company founded in 1975. Ferries of these company transport passangers and vichles daily. Ferries and hydrofoils to Ischia leave only for port Ischia (average journey time is 1 h and 20 min ) and for port Casamicciola Terme (average journey time is 1h and 30 min). Some ferries stop in Procida. Attention: you should varify from which port of Naples leave the ferry: P.D.MASSA or BEVERELLO, as in the timetable it is just written Naples. 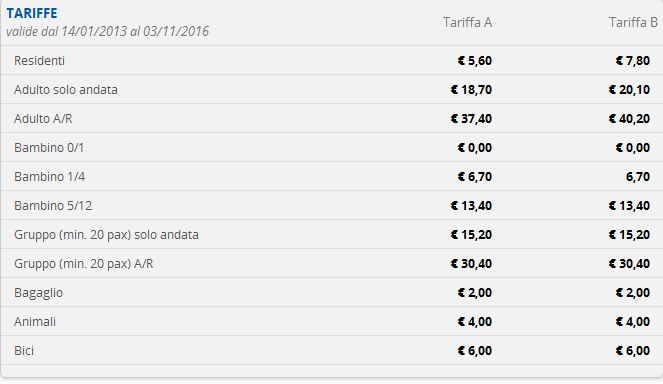 One way ticket for an adult costs € 11,30 on ferries and € 16,60 on hydrofoils. 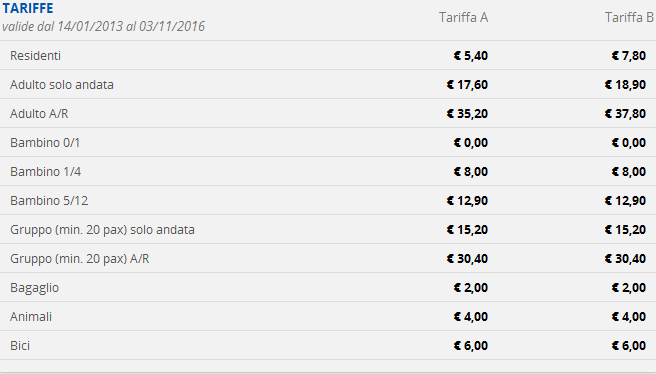 *Always varify timetable and prices before buying the tickets as they are subject to constant change. 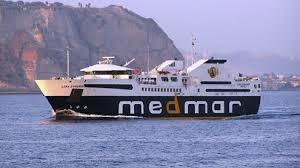 Shipping company Medmar transport passangers across the sea on ferries and hydrofoils to Ischia from two ports of Naples: P.D.MASSA and POZZUOLI. On Ischia ferries and hydrofoils come to the port of Ischia and the port of Casamicciola Terme. 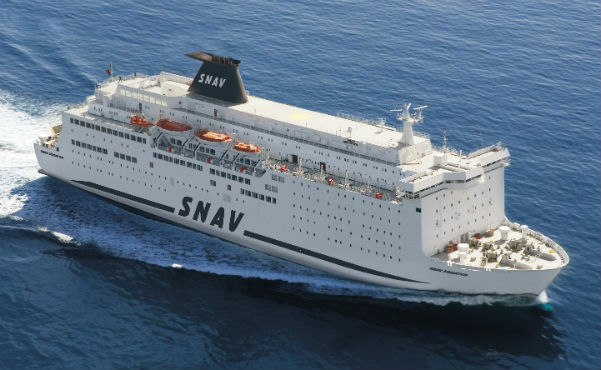 Shipping company SNAV belongs to MSC Mediterranean Shipping Company. The company transport only passangers on the hydrofoils. SNAV uses for Naples – Ischia connection the Naples port BEVERELLO. For Ischia, in turn, the port CASAMICCIOLA Terme. Ferries of this shipping company use the Naples port BEVERELLO to trasport people to the ports Ischia and Forio. And the company uses the Naples port MERGELLINA to trasport people to the port Ischia. Please note that to Forio go only hydrofoils. 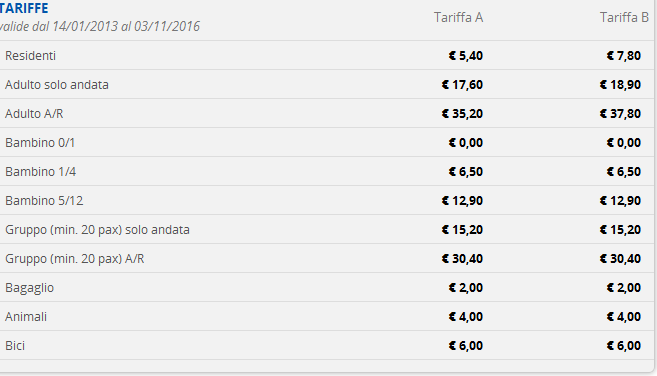 From 14/01/2013 to 03/11/2016 the company offers 2 types of prices A and B.